For the last 12 months I’ve been working on a new work commissioned by Lidl and local councillors for Bramley and Stanningley in Leeds to celebrate Stanningley’s industrial past and the opening of the Belgrave Retail Park. 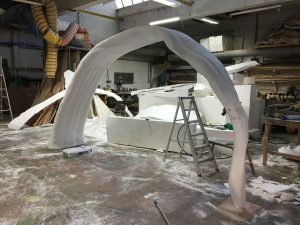 I’m making a 2.6m high sculpture entitled ‘Bridge’ which is cast from iron and follows the arc of a bridge reaching out from the retail park towards the street. 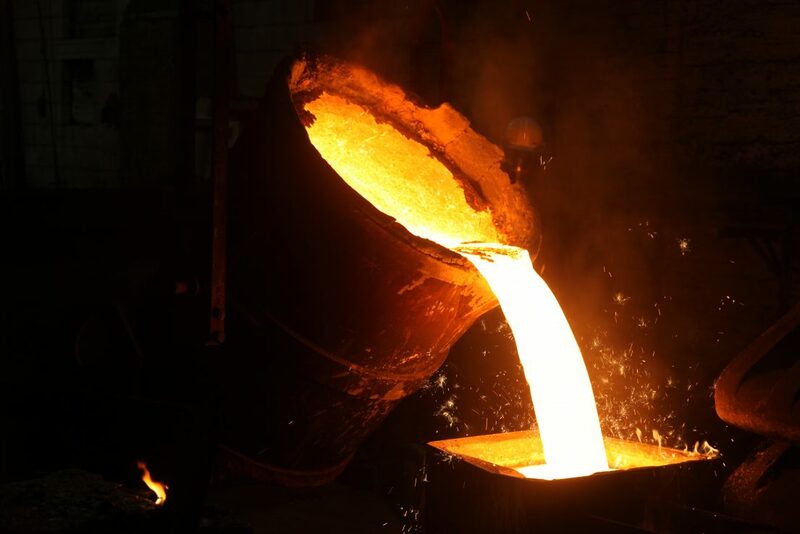 Its shape represents the pouring of molten iron from the ladle into the mould in the process of casting in the foundry, thus creating an arc. The work is a bridge between the past and present, a reminder of Stanningley’s glorious industrial past and a link to its new servicing future. 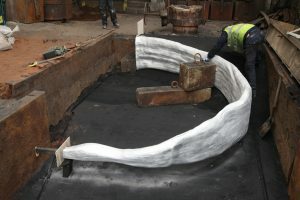 Yesterday was an incredibly exciting (and somewhat emotional) day as the sculpture was cast at Hargreaves Foundry in Halifax. Because ‘Bridge’ is so big, it was cast in the floor of the foundry. The video below shows what 4T of 1300C molten iron looks like when it’s being poured into the mould – the smell, noise and heat were amazing! 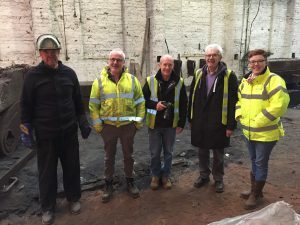 The whole experience gave a real insight into what it must have been like to work in Stanningley Iron Works and Albion Iron Works when they were at the height of their success. Many, many thanks to everyone at the Hargreaves especially Andy Knight and Peter Lodge who made me and my team feel so welcome. Above: the full scale model of ‘Bridge’ in the workshop. Thanks to Matt Fairley and Jerry Headford for all their help in bringing this to life!